HAY MAGS SOFA 3 SEATER/ COMBINATION 4 RIGHT ARM REST. You can create the exact sofa of your choice with the aid of Mags Sofa Compositions. 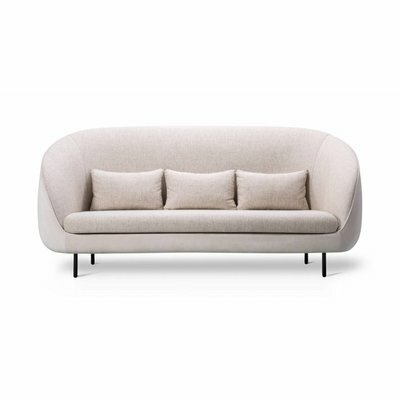 From end arm sections, middle sections, chaise longues and ottomans in various sizes, each module comes in a large range of Kvadrat fabric and leather options, allowing you to create the sofa of your choice! The Mags Modular Sofa from Hay gives equally high priority to all the key components of a sofa design which can't be seen - suspension, composition of the foam and durability of the upholstery. What's more, the high arm rests and deep seat make Mags ideal for relaxation. Its firm composition with no detachable cushions make it flexible because cushions and blankets can be moved around according to preference. Available in following fabrics; fabric group 1; Linara, Olavi. fabric group 2 ; Steelcut, Steelcut trio, Hero, Melange nap, Pine, Lola, Ruskin. fabric group 3 ; Divina, Divina melange, Divina md, Rime, Tonus meadow, Tonus, Roden 4, fabric group 4 ; Hallingdal, Compound, Forest nap, Lila, Raas. fabric group 5 ; Sunniva, Coda, Sierra, California, Twill Weave, Balder. fabric group 6 ; Silk leather.